Hala China, an initiative by Meraas and Dubai Holding, said that the first Chinese Film Week in Dubai will commence on October 1, with a programme that includes the screening of some of China’s most popular blockbusters in Dubai. The event will also bring some of the biggest celebrities and directors in Chinese cinema to the city for a celebration of the nation’s film industry. China’s cinema audience this year became the biggest in the world, and unprecedented growth in the past decade has been driven by rising demand for quality entertainment among China’s middle class. In seeking to build on this trend and growing tourism numbers from China, the Chinese Film Week in Dubai will commence with a spectacular red-carpet event on the opening night at Roxy Cinemas in City Walk. Following this, movies to be played during the week include Dragon Blade, Po Feng, Twenties Once Again, The Nightingale, American Dreams in China, Wolf Totem, Monkey King: Hero Is Back, and Big Fish & Begonia. The Chinese Film Week in Dubai will take place during the Chinese National Day holiday – known locally as Golden Week. Supported by the Consulate-General of the People’s Republic of China in Dubai and the China Film Administration, the film screenings will take place at Roxy Cinemas at City Walk, The Beach and Boxpark. The event will target Chinese tourists travelling to the region during Golden Week, in addition to the 270,000 Chinese expats living in the UAE. The UAE has seen the number of overnight visitors from China grow by over 100 percent since 2014, with a year-on-year increase of 41.4 percent from 2016 to 2017. 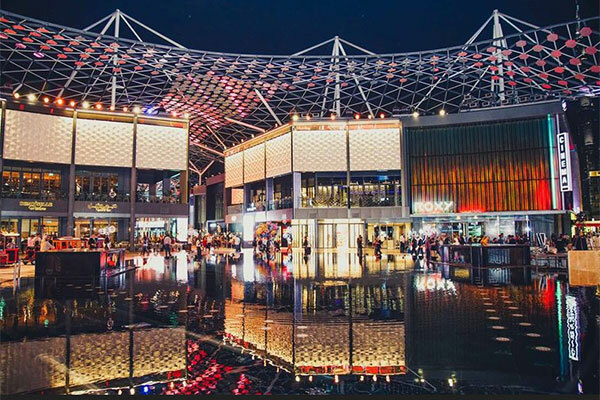 In February 2018, the first Chinese New Year celebrations at City Walk attracted more than 22,000 Chinese and other visitors to the festival. “As one of the core cities along the Belt and Road initiative, Dubai is the regional hub for economy and trade, finance, tourism, logistics and shipping, as well as a good example of harmonious coexistence of diversified cultures and common development. The Chinese Film Week in Dubai, organised by Hala China, manifests the further deepening of people-to-people and cultural exchanges between China and the UAE. “The vitality of civilisations relies on exchanges, communication and interactions. The success of the Chinese Film Week in Dubai will enrich the offering of Hala China, build a new platform for bilateral exchanges and cooperation, and contribute to further strengthening the understanding and friendship of the people from both countries,” she added. The Chinese film market overtook the US in terms of volume for the first time in the first quarter of 2018. Since the start of 2014, Chinese investors have also spent over $5 billion on equity investments in the US film industry alone, and millions more on movie production. Meanwhile, beyond lending a backdrop to Hollywood and Bollywood blockbusters, the UAE’s film industry is on the rise, with many local and international players choosing the country for its production and post-production facilities. Established free zones are already home to global companies, TV stations, broadcasters, production houses and professionals, while the industry in the MENA region is valued at $26.4 billion with growth set to hit $35 billion by 2020.